“If you are a public figure, you have to get used to criticism. Perhaps Tamil Nadu is the only state which misuses state machinery to fight defamation cases”. 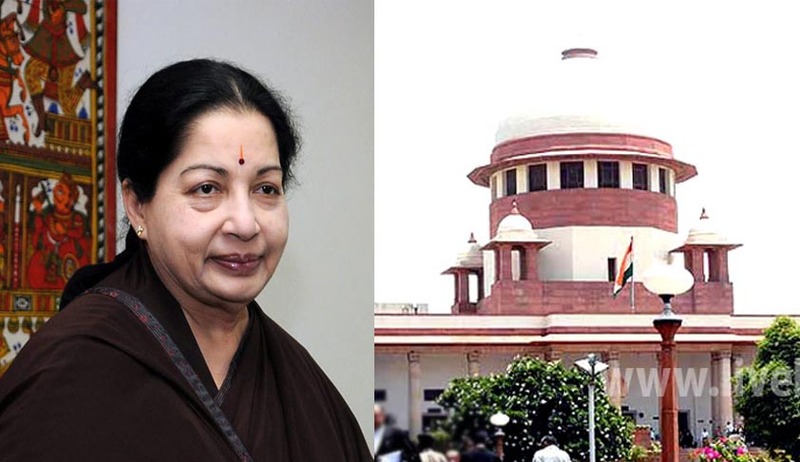 Tamil Nadu Chief Minister J Jayalalithaa once again faced the ire of Supreme Court for slapping defamation cases against political opponents. “If you are a public figure, you have to get used to criticism. Perhaps Tamil Nadu is the only state which misuses state machinery to fight defamation cases. ", a bench of Justice Dipak Misra and Justice Rohinton Nariman said. On July 28 also, the Supreme Court while staying the NBW against DMDK chief and actor politician Vijaykanth and his wife Premlatha in a defamation case had remarked that defamation cases should not be used as a political counter weapon against critics of governments. Today the court also re-issued notice on Vijaykanth’s plea. Following the court’ s direction, the state government also informed that more than 200 defamation cases have been filed by it in the last five years. 55 cases are against the media, 85 involve Jayalalithaa's main rival, the DMK. The bench categorically told Jayalalithaa that public figures cannot use defamation law to throttle democracy and criticism of policy could not be a ground for defamation. Holding that “there has to be tolerance to criticism”, the bench said defamation cases cannot be used as a political counter weapon and added: “Cases for criticizing the government or bureaucrats create a chilling effect”. Significantly, the bench also sought the list of defamation cases filed by the public prosecutors in Tamil Nadu on behalf of Chief Minister Jayalalithaa against her critics. A trial court in Tirupur had July 24 issued a NBW against Vijayakanth and his wife after they failed to appear before the court with regard to the defamation case against them.